It was a refreshing surprise when the Zurich Classic announced a change in format to team competition, with players free to pick a partner. But who would play? The ball was in the professionals’ court and that can turn sour very fast. Cue Olympians Justin Rose and Henrik Stenson, ever the ambassadors for golf, who opted to team up when the tournament runs 27-30 April 2017. The new format has 160 players competing in teams of two, foursomes in the first and third rounds, fourballs on the alternate days. 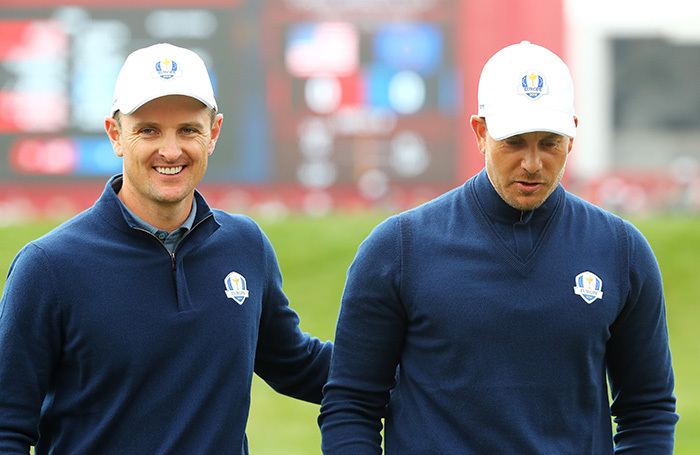 ‘Henrik and I are very excited to tee it up together in April, and hopefully we can continue our longstanding chemistry,’ Rose added in reference to the pair’s Ryder Cup history. Rickie Fowler and Jason Day have also agreed to team up, making a formidable combination between Australia and the United States. The Olympics running as a stroke play event brought some criticism, but this new move to team formats for regular-season events could be the start of a big change in professional golf. It’s definitely a refreshing addition to the calendar.